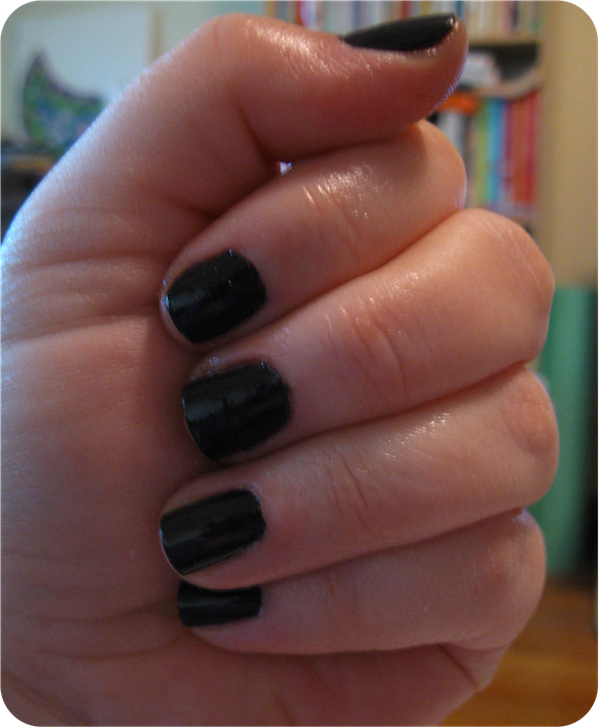 I'm no nail fanatic, but I generally try to keep mine from being ragged and/or animal-like. I waver between intricate nail polish designs and bare nails for weeks, depending on my mood. I don't commit to one length - I let them get longer when I'm feeling lazy or shorter when they break or get in my way (am I the only one who manages to repeatedly scratch herself with her own nails?). 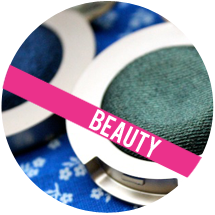 In other words: low maintenance. 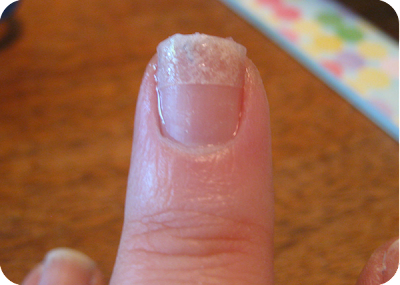 This usually works for me, but when I recently split my nail vertically (OUCH!) 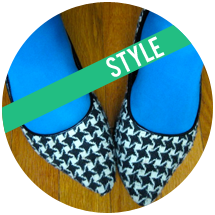 I had to put in a little more effort. 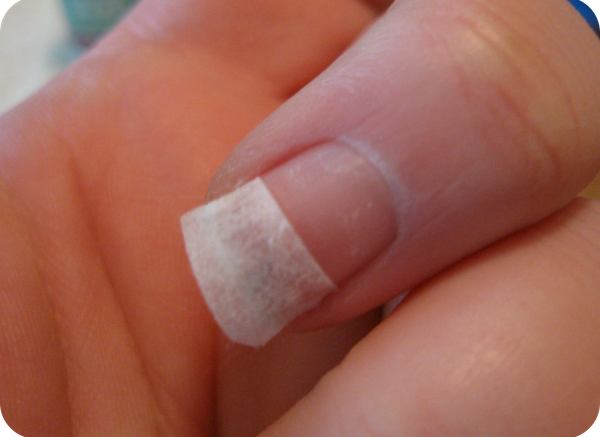 I found a technique to deal with broken nails that I thought might me helpful so I'm sharing. 1. Cut a small piece of the coffee filter and measure against your nail. 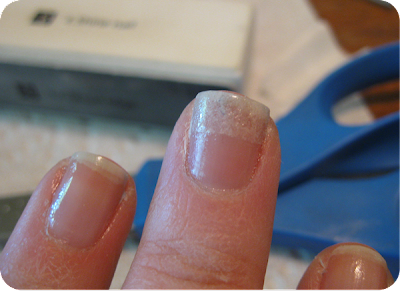 Trim to fit the width of your nail (you can trim length later). 2. 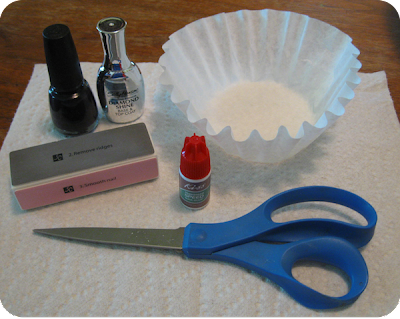 Apply nail glue to your nail and lay the coffee filter op top. 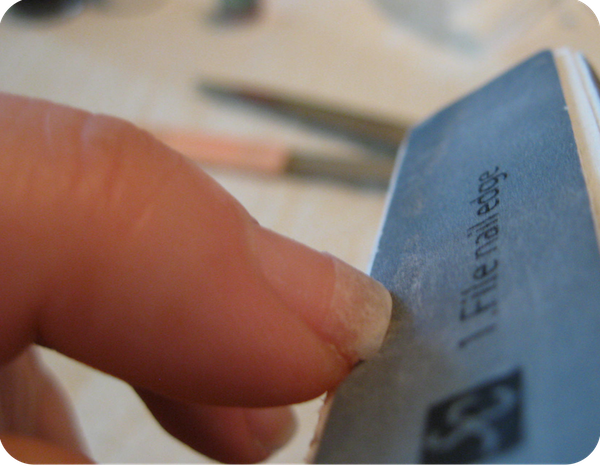 Trim the length of the filter if needed and then cover it with another layer of nail glue. 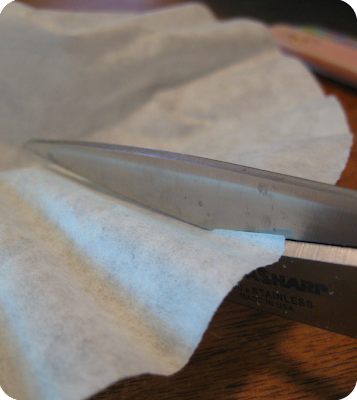 Let dry and file it gently to smooth. 3. 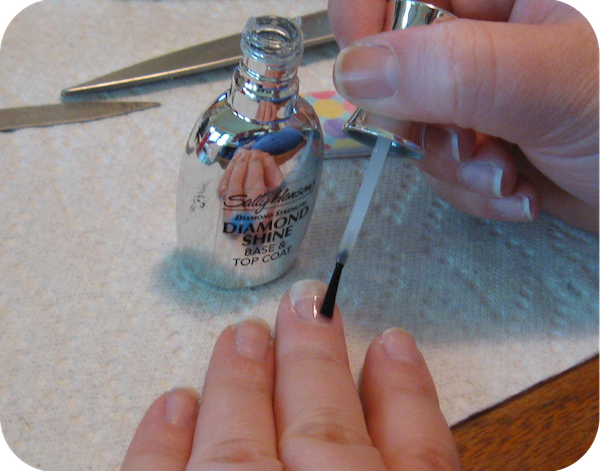 Cover the entire nail in top coat. 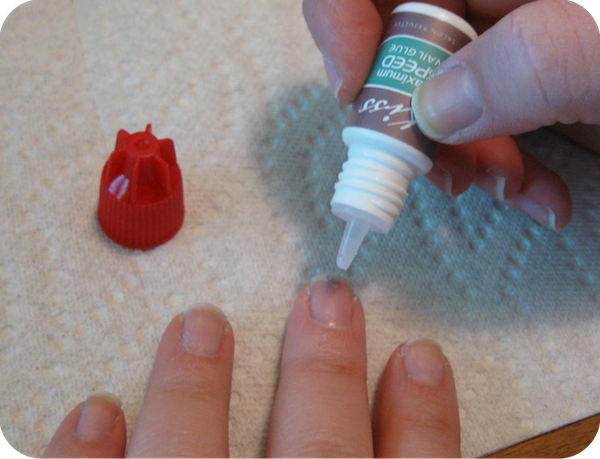 When dry, finish with nail polish and another layer of top coat as normal. 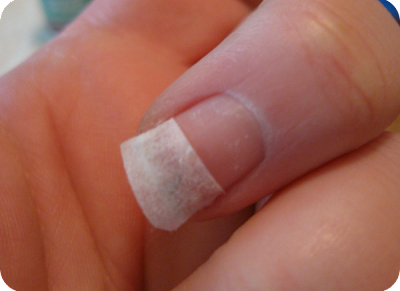 This method is great for those AHHHHHHH-type nail accidents or just for people growing out their nails who don't want that one little stubby one. My coffee filter splint lasted about a week before couldn't help but to pick it off (I'm also a picker...TRIPLE THREAT), but even if you need to replace it weekly until the cut grows out far enough it's way better than the alternative of a creepy little painful nail.